It seems I'm the only customer who is not thrilled. Maybe I got a "bad one"? Maybe I'm comparing it to my name brand shoes that look similar and cost double? Mine ran big, the padding was thin, and the construction inside of the shoe is a bit off. I'm going to return. The shoe was a gift for my mom birthday lite weight and she loved them. Wow a pair of shoe's that fit. Couldn't find shoe's anywhere that i could wear until now Thanks Miles kimball. now i have a pair of shoes that don't hurt my feet. 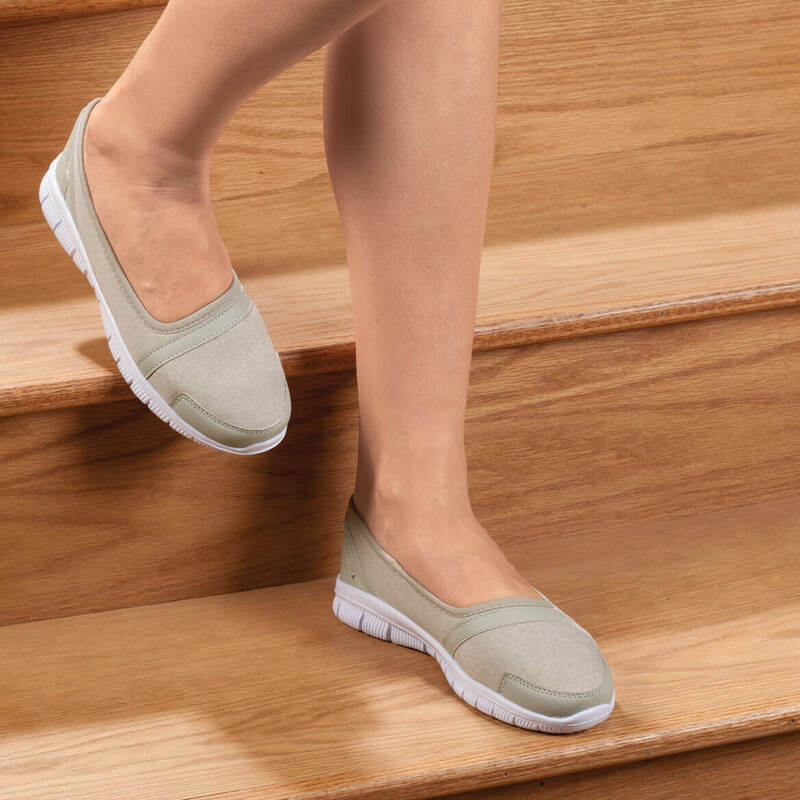 These shoes are soft nonirritating tothe foot.Also are very roomy lite as a feather .Anybody with foot problems such as neuropathy they are w onderful. 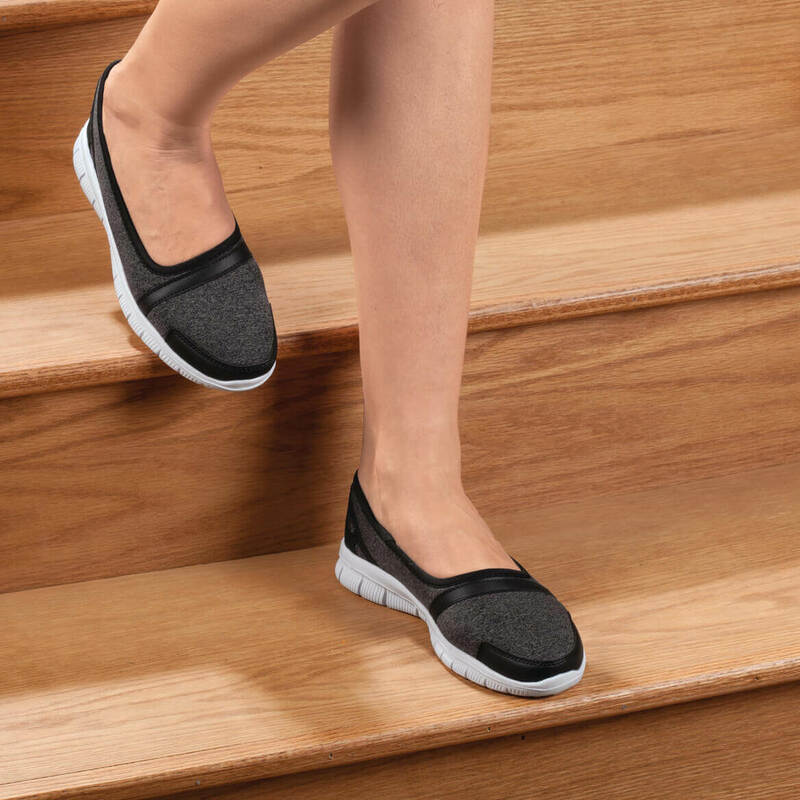 They are also stylish and stay on your feet. 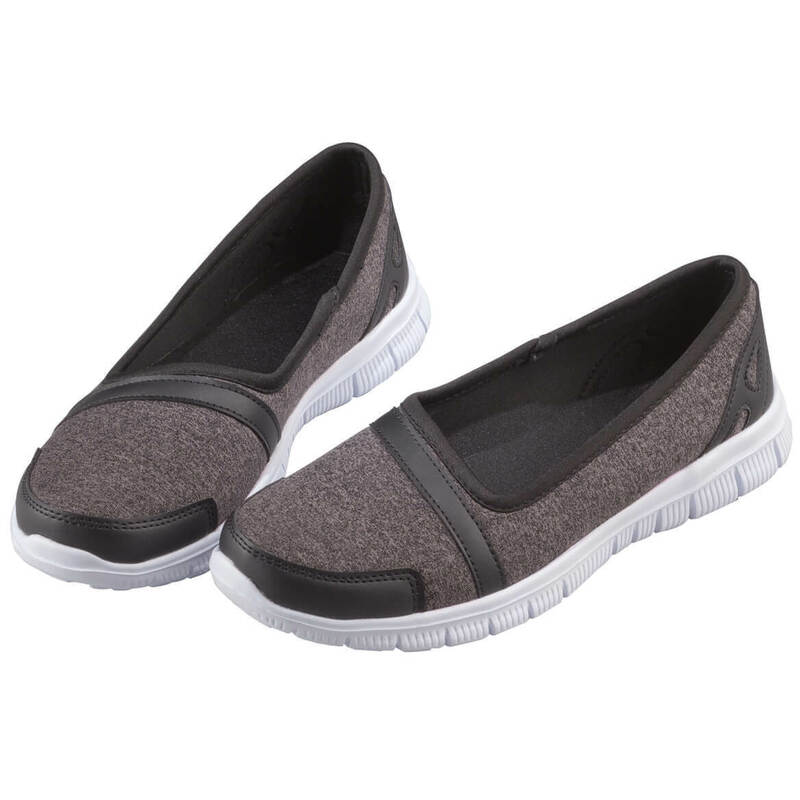 Very comfortable, easy to slip on shoes. Wanted something that wouldn't take forever to get on my foot, and these are it! Plus, very lightweight, so added comfort there. I normally wear an 8 1/2 so I had to order the sz 9. Just wondering if I need to try a as 8 but afraid it'd be tight. Look comfortable. I hope so. Loved the style and price. I like shoes that are comfortable and light on your feet! They are adorable and look very comfy. I have wanted shoes similar to these shoes for so long so I am very excited to finally have found them for a good price. What a comfortable pair of shoes! Another pair of a different color would be a great idea! What is the height of the heel ??? BEST ANSWER: Thank you for your question. 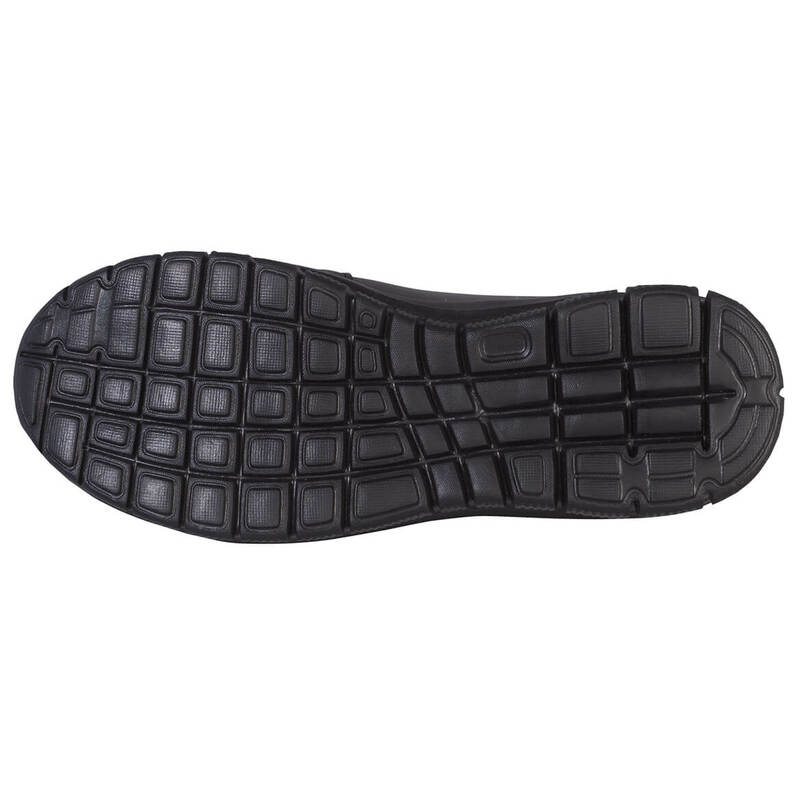 The height of the heel is 1 1/4". We hope this information will be of help to you. 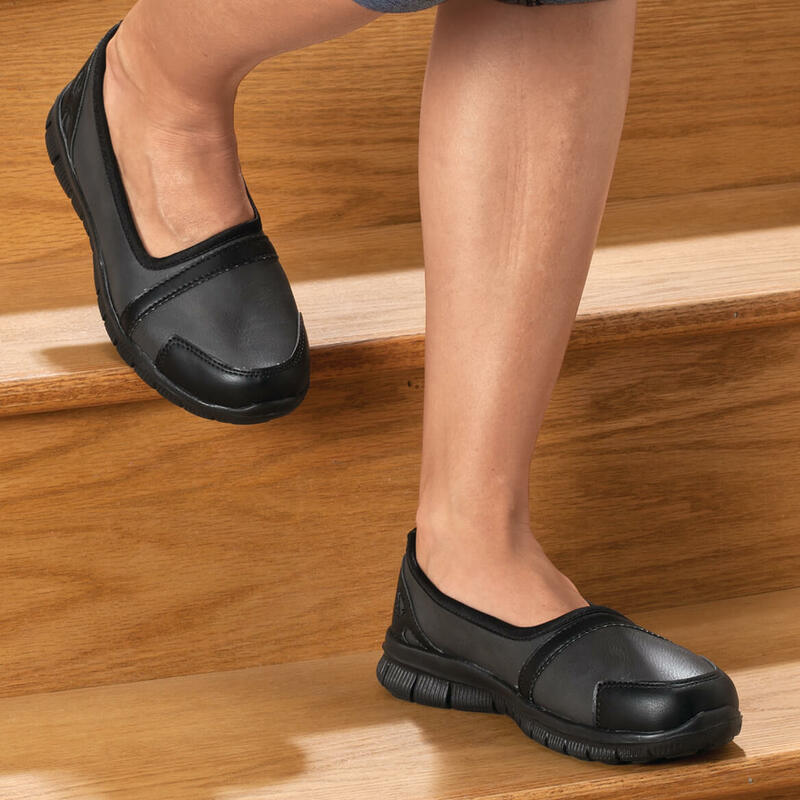 Do these shoes have good arch support, & do they let your feet breathe? BEST ANSWER: The shoes are to big for me, but I had already worn them outside and couldn’t return them. Do you have a size 5 or 5 1/2 in this shoe? BEST ANSWER: Thank you for your question. We do not carry 1/2 sizes. We hope this information will be of help to you.